Dani Evans is an American model, best known as the winner of Cycle 6 of America’s Next Top Model. 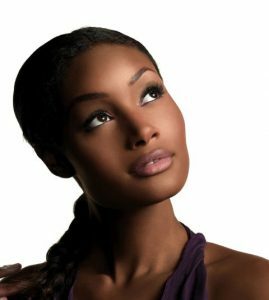 For winning America’s Next Top Model, she won a $100,000 contract with CoverGirl Cosmetics, a photoshoot for Elle, and a modelling contract with Ford Models. She has appeared on the cover of fashion magazines such as ELLE, Elle Girl, Jewel Magazine, Essence Magazine, PowerPlay Magazine, Cover Magazine and Venus Magazine. She has walked the runways for Issue, Victorio & Lucchino, Baby Phat Fall ’07, Zang Toi Fall ’07, BET’S Rip the Runway, and Style Salon. She also walked in Korto Momolu’s finale show on Project Runway season 5, and walked for Y-3 and William Rast F/W 2010 New York Fashion Week. In December 2009, she was appeared in the Victoria’s Secret PINK online style guide. Born on June 7, 1985 in Little Rock, Arkansas, USA, her birth name is Danielle Evans. In the Fall of 2006, Dani appeared in The CW CoverGirl commercial campaign, “My Life as a Cover Girl”. She rose to fame after her appearance in America’s Next Top Model. She previously dated musician Lupe Fiasco in 2013. *She was born in Little Rock, Arkansas, USA on June 7, 1985. *She is the winner of Cycle 6 of America’s Next Top Model.